406 pages | 10 B/W Illus. In recent years public management research in a variety of disciplines has paid increasing attention to the role of citizens and the third sector in the provision of public services. Several of these efforts have employed the concept of co-production to better understand and explain this trend. 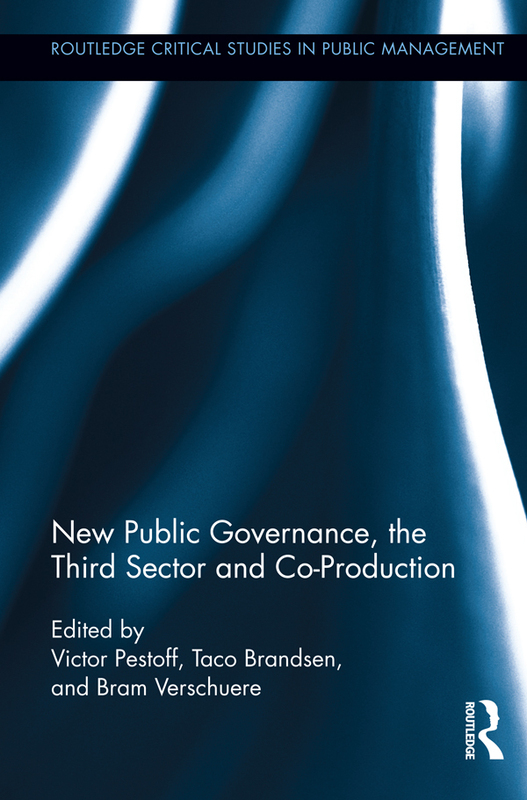 This book aims to go further by systematizing the growing body of academic papers and reports that focus on various aspects of co-production and its potential contribution to new public governance. It has an interdisciplinary focus that makes a unique contribution to the body of knowledge in this field, at the cross-roads of a number of disciplines - including business administration, policy studies, political science, public management, sociology, third sector studies, etc. The unique presentation of them together in this volume both allows for comparing and contrasting these different perspectives and for potential theoretical collaboration and development. More particularly, this volume addresses the following concerns: What is the nature of co-production and what challenges does it face? How can we conceptualize the concept of co-production? How does co-production works in practice? How does co-production unfold in reality? What can be the effects of co-production? And more specific, firstly, how can co-production contribute to service quality and service management in public services, and secondly, what is the input of co-production on growing citizen involvement and development of participative democracy? Victor A. Pestoff is Professor Emeritus in Political Science and currently Guest Professor at the Institute for Civil Society Studies at Ersta Skondal University College in Stockholm, Sweden. He has over 35 years of research on the Third Sector, its role in public policy and providing social services. His latest books are A Democratic Architecture for the Welfare State (2009), and together with Taco Brandsen (eds) Co-Production. The Third Sector and the Delivery of Public Services (2008 & 2009), both at Routledge: London & New York. Taco Brandsen is Associate Professor in Public Administration at the Nijmegen School of Management, Radboud University Nijmegen, the Netherlands. His current research focuses on public services, innovation, governance and civil society. His latest books are Civicness in the Governance and Delivery of Social Services (2010, with Paul Dekker & Adalbert Evers), The Future of Governance in Europe and the US (2010, with Marc Holzer) and Co-Production. The Third Sector and the Delivery of Public Services (Routledge, 2008 & 2009, with Victor Pestoff). Bram Verschuere is Assistant Professor at the Department of Business and Public Administration of University College Ghent (Ghent University Association), Belgium. His main research and teaching interests are in public management, public sector organization, state-nonprofit relationships, and welfare policy. His latest books are Autonomy and Control of State Agencies: Comparing States and Agencies (2010, with Koen Verhoest, Paul Roness, Kristin Rubecksen and Muiris McCarthaigh), and Re-thinking the State: Critical Perspectives on the Citizen, Politics and Government in the 21st Century (2009, with Filip De Rynck and Ellen Wayenberg).